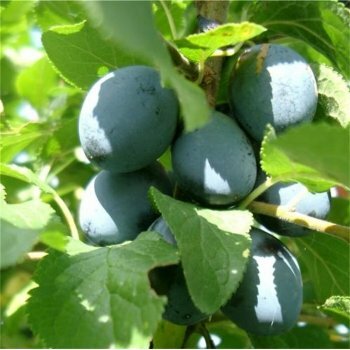 Shropshire Prune is a small hedgerow damson with intense traditional damson flavour. Perfect for use in pies, jellies, wine and jams. This is a hardy damson tree that will grow in pretty much any UK situation. This variety is self fertile so only one tree needed. The same rules apply for Shropshire Prune Damson trees and plum trees, so for ease we will simply refer to plum trees in the following planting and aftercare advice.